Another addition to the wish list! 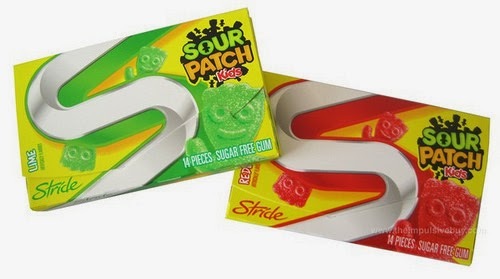 Word has it over at the impulsive buy blog that Stride Gum has joined forces with Sour Patch Kids to create an exciting collaboration- Sour Patch Kids Gum! Click here to read the full impulsivebuy review. In the meantime, I'll be scouring the shelves of local purveyors to scoop up some packs to taste. Any chance to try a Sour Patch Kid in a new form constitutes a delight.